You’ve probably heard about the cancer fighting wonders of broccoli. But there’s an easy way to boost broccoli’s ability to prevent and treat cancer. And it tastes fantastic. Broccoli is rich in sulforaphane, a highly touted and researched natural anticancer molecule. But in order to absorb sulforaphane effectively, you have to separate (hydrolyze) it from its parent molecule (glucoraphanin). Fortunately, it’s relatively easy to separate it. Broccoli has an enzyme (myrosinase) that easily hydrolyzes the parent molecule into sulforaphane. You activate this enzyme when you chew the uncooked plant. If you can get myrosinase activity while the food is in your upper digestive tract, you get terrific absorption. Otherwise, absorption might have to wait until it reaches your colon. There, bacteria work on it and release the precious cargo. But in your colon, absorption is much slower. The great news is that broccoli isn’t the only source of myrosinase. Spicy foods, such as mustard, horseradish, and wasabi, have an abundance of myrosinase. If you combine these foods with your broccoli, active myrosinase will release the ingested broccoli’s precious sulforaphane in your upper digestive tract. Elizabeth Jeffrey is a professor of nutrition at the University of Illinois. She was part of the team that conducted a study that found these spicy foods enhance broccoli’s cancer-fighting ability. She cautioned against overcooking broccoli. 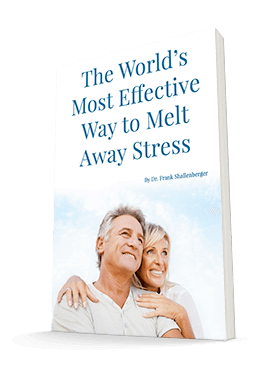 (The excess heat destroys its inherent myrosinase.) But she added that you can recover much of the otherwise lost benefit by pairing overcooked broccoli with a myrosinase-containing food. Other foods that can boost broccoli’s effectiveness (when paired together) include broccoli sprouts, radishes, cabbage, arugula, watercress, and Brussels sprouts. The researchers studied combining broccoli powder (which might not have any myrosinase due to processing) with myrosinase-loaded broccoli sprouts. The combination dramatically increased absorption of sulforaphane in human volunteers over the powder alone. The results were astounding. The sprouts almost tripled the absorption! The researchers used broccoli powder because processing broccoli into powder can reduce or even lower its important myrosinase activity. That’s why I’ve always recommended eating it raw. Fortunately, the spices worked despite the processing and made the broccoli power even more effective. They will work for over-cooked broccoli as well. So if you’re currently taking a greens powder, such as Advanced Greens Powder, this gives you a great way to make it even more effective. All you have to do is eat one of these myrosinase containing foods at the same time you take the powder. This will significantly enhance the powder’s ability to fight cancer. The richest source of glucoraphanin, and hence sulforaphane, is broccoli sprouts. Ref: Br J Nutr. 2011 Sep 13:1-6. [Epub ahead of print].